Orders can be placed by email, fax, post or in person at our office. See here for more info. Products, information, and peer support. Just a few ways we strive to guide you on your way to living well with an ostomy. 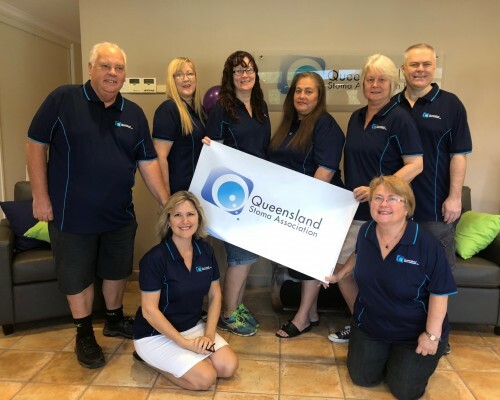 At a Special General Meeting held at QSA on Saturday 30th March, 2019, attending members resolved unanimously to change the structure of the association from an Incorporated Association to a Company Limited by Guarantee, to accept the draft constitution as tabled, and to change the associations name name to Queensland Stoma Association Limited following the change in structure. Further updates will be provided as we transition from an incorporated association to a corporation over the next few months. Please see here to access a copy of the proposed constitution for the CLG. QSA are introducing a standardised postage fee structure. From 1 July, 2019, the postage cost for all orders (with the exception of orders requested to be sent as an emergency or via express post, or those orders for which more than one carton is required) will be a flat rate of $13.00 each. Established in 1960, Queensland Stoma Association is a not for profit self-help group offering support, assistance and information for people with a “stoma” also called an ileostomy, colostomy or urostomy. People who have had this type of surgery are known as “ostomates”. The Association is open for business from 8.30am to 2.30pm on Mondays, Tuesdays, Wednesdays and Thursdays. We are closed on Fridays and Public Holidays. Information about joining the Association can be found on our “Becoming a member” page. To find out how to place an order with the Association, please see visit our “Placing an order” page. To contact the Association, please email us via our “Contact Us” page for more information. We encourage all members to visit our site to find out more information about assistance available under the Stoma Appliance Scheme and Ostomate support in Australia.